From the back cover: Recently, I've had the opportunity to send some tape dubs of our North American bossa nova to a friend in Sao Paulo. These dubs included the work of Bud Shank, Clare Fischer, Laurindo Almeida, Joe Pass and the rhythm sections working in the present album. Let me tell you that my faith in certain occasionally disputed truths was immediately reaffirmed. When you listen to Bud with Laurindo playing bossa nova recorded in 1952, you know and I know you're not going to let anybody tell you that these guys didn't start the whole thing. And when you listen to Bud and Clare and Joe Pass play as they do here, as it was recorded in 1963, you're not going to let anybody convince you that these guys weren't right in the middle of the first North American bossa nova craze. In fact, when you tune into Clare Fischer playing his tribute to Joao Gilberto (Carnival) and Jobim's One Note Samba, may I ask you to bear in mind that these two tracks were in an album that critic Gene Lees termed one of the best bossa nova albums ever released in this country – high tribute in the face of the simply gorgeous packages by Jobim, Sergio Mendes, Astrud Gilberto and so many others that almost weekly reach these shores from heartland Brazilians. 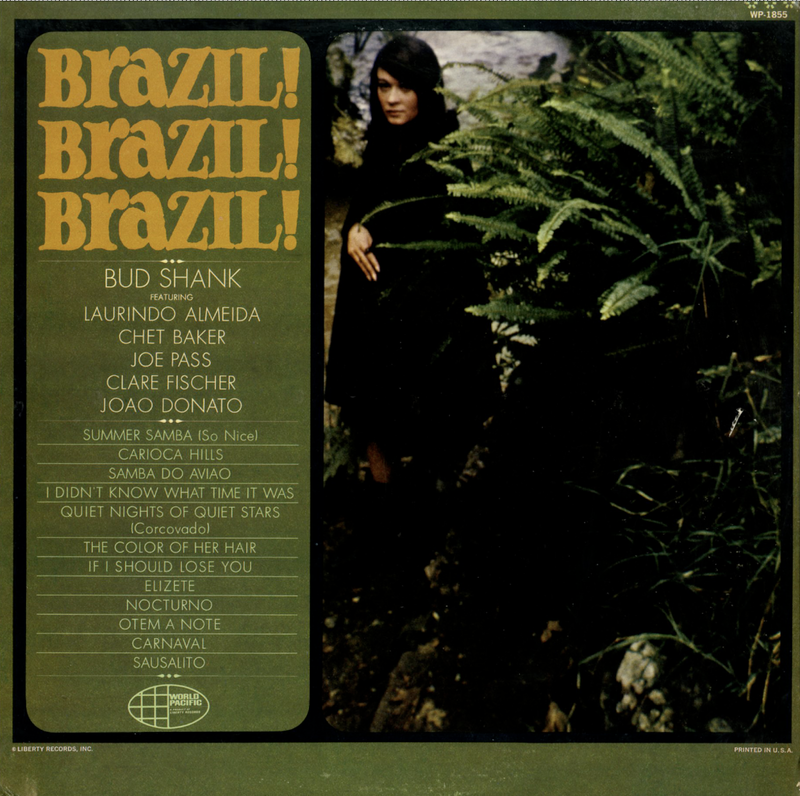 From Billboard - November 26, 1966: An exciting collection of 12 Brazilian tunes given the fossa-jazz treatment by Bud Shank, with top players Laurindo Almeida, Chet Baker, Joe Pass, Clare Fischer and Joao Donato, backed by a lush orchestra. Perfect for both easy-listening and jazz lovers. "Summer Samba" and "I Didn't Know Time It Was" excellent.